The original salt water source is extremely important in determining the quality of magnesium chloride salts harvested. Generally, the cleanest salts on the planet, and sold as ‘food grade’ are now from alpine regions thousands of metres above sea level and preferably not near agriculture (chemical run-off), population (sewage and other pollution), or mining operations (mining contaminants). Cities around the Dead Sea (once highly acclaimed for its healing minerals), let out raw unprocessed sewage into that body of water. This salt water is then extracted and dehydrated to make magnesium chloride salt flakes. Of course it is cleansed first, but can you be sure that the radiation chemicals or oestrogen from the Pill, which are contained in sewage from modern cities these days, has been fully removed? Both industrial and food grade salts are harvested from alpine regions. Some suppliers will tell you that, “It’s food grade, but just without the certification.” Although the altitude of the source does not necessarily guarantee the highest quality, it is usually better than polluted ocean waters, desalination wastes or dessert salt pans. If the salt water source in alpine regions is near any mining, agriculture or sewage outlets, or if magnesium salts are extracted via solution mining, they may contain unwanted contaminants and the harvested magnesium chloride flakes may not really be food grade. Solution-mining means they drill into the mountain to pump water into a hard buried layer of crystalised salts (bischoffite), and then pump out the solution to evaporation tanks. This requires extra cleansing and processing, which can also cause loss of extra trace minerals. Food grade quality, representing 10-15% of magnesium chloride salts harvested in the world, is much rarer and is sold for a higher price than the more abundantly available industrial grade. This rarer form of magnesium chloride is usually siphoned from open salt water lakes in pristine alpine regions and simply filtered and evaporated to form salt flakes. It therefore retains a higher level of the naturally occurring trace elements. Food grade magnesium chloride (also called Nigari) is mainly used to make tofu by Asian food manufacturers, as well as for skin care products and horse feed supplements. Pharmaceutical companies also buy it for further refining and use in pharmaceutical products. Industrial grade magnesium chlorides are used for many applications including agricultural soil supplement, swimming pool salt, making magnesium metal, de-icing roads and cleaning dust from air of mining operations. For these purposes the industrial grade is fine. However, ‘Food Grade’ is ‘Food Supplement’, so be careful of anything else when consuming it or even using on your skin for prolonged periods of time, as the skin is the largest organ of the body and able to both excrete and absorb elements (good and bad). 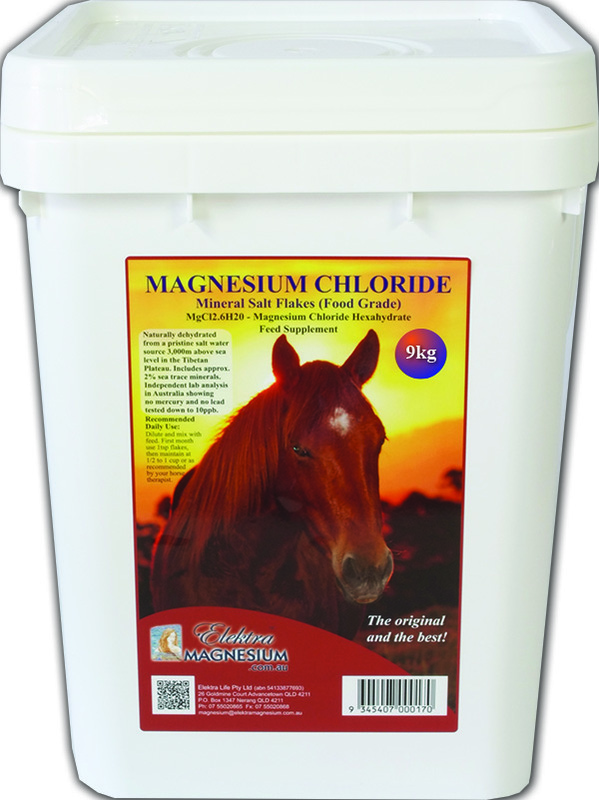 If you are feeding it to your horse or pets make sure the magnesium salts are really food grade. Ask the supplier for a trace mineral analysis with mercury and lead testing down to 10ppb by an independent Australian laboratory. Horses and pets won’t be able to notice the difference in taste if these metals are present, which means they could accumulate over time in the tissue cells. If the manufacturer cannot supply an independent Australian laboratory test, then at least ask them for the food grade certificate of analysis from their supplier at the source. Some magnesium chloride salts can also contain excess bromides. Whilst a small amount is tolerable from salts, an excess can cause gut irritations. The total elemental magnesium content of food grade magnesium chloride flakes is ideally 15% to 16%. To date Australian bulk salt processors do not offer food grade magnesium chloride for sale. In addition, don’t be fooled by ‘organic claims’ because when it comes to mineral extractions you could say that crude oil is also ‘organic’ (not grown with pesticides or chemical fertilizers). An inorganic mineral is an inorganic mineral and can have no other inference. A sea mineral salt is a complex of inorganic minerals. There is no regulation in Australia regarding such claims (ie. calling an inorganic mineral ‘organic’) or the inference that the word ‘organic’ somehow makes it better. It’s a question of ‘buyer-beware’. You do get what you pay for. 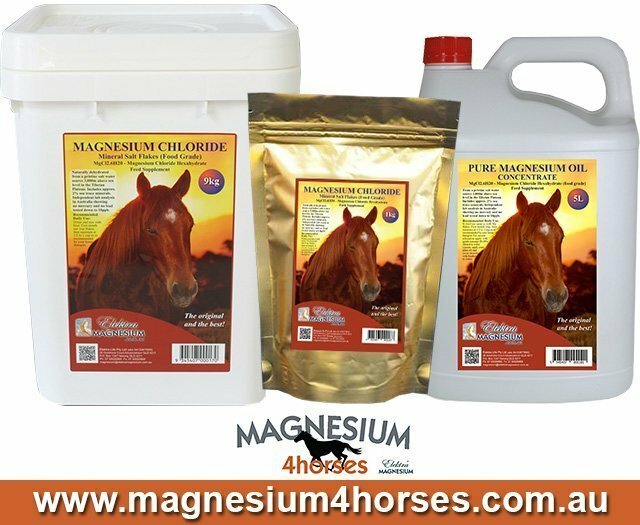 I had people from Western Australia tell me they tried some of the cheaper magnesium salts in horse feed, which they said made their horses sick because of too much bromide. Every week now we are getting reports and emails from customers that have tried the cheaper salts (also for personal use) because of the price lure, only to come back afterwards in despair and desperate to get more Elektra Magnesium Chloride Salt Flakes. In the end there is not that much difference in price for a lot of extra quality. 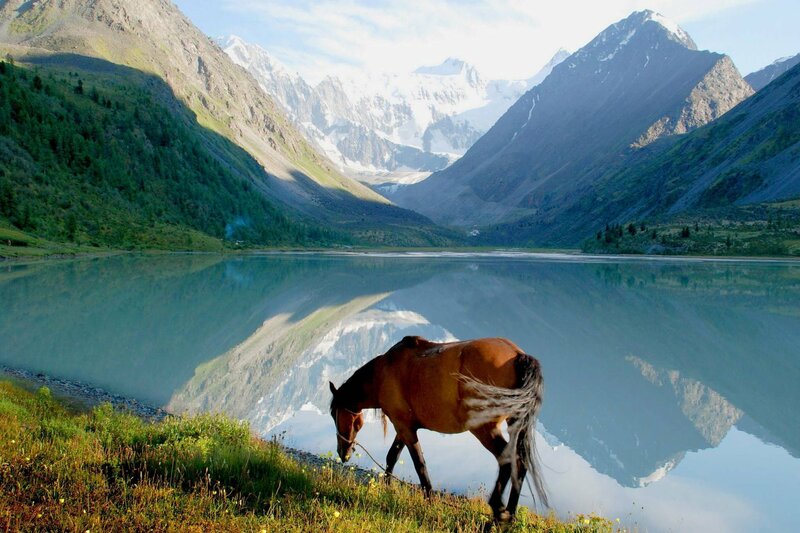 THE BEST THERE IS: Elektra Magnesium Chloride salt flakes are sourced from the Tibetan Plateau alpine salt water lakes AND are ‘food grade’ quality. They are a certified ‘food supplement’. Australian laboratory testing using highly sensitive equipment reports no mercury nor lead detected. It also shows the highest level of elemental magnesium in the range of magnesium chloride hexahydrate (16.6%). Not all of them have the right equipment and protocols to test the magnesium chloride effectively. The flakes need to be dehydrated overnight to get rid of excess moisture that may it may have attracted from the air and they need to be able to do some tests down to parts per billion. Costs are around $2000 per test on average.